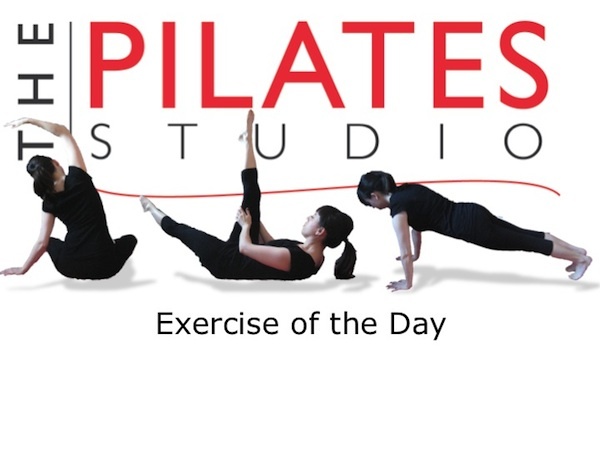 This exercise is the closest preparation exercise for the classic pilates exercise of The Hundred. If you have osteoporosis you should not do this exercise. Because your head balances the feet in this bow position, it is better to simply practice the arm work and the breath pattern with the knees bent or in a table top position. To get the floating sensation it is important to connect the back of your ribcage to the ground and to connect your sacrum to the ground. These connections to the ground allow the body to find the strength necessary to feel the sensation of floating in the upper and lower extremities!